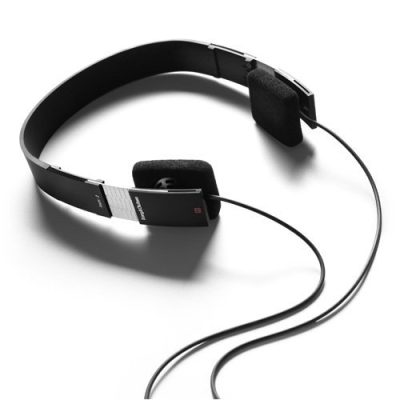 The design of the Bang & Olufsen Form 2 headphones is attractive. The Form 2 demands attention from first look, but does not give the same attention as an all gold pair of headphones. The frame of the Form 2s have a black matte finish with the speakers inside, which are adjustable through metal slides; clever! Again, the sound of the headphones is impeccable. While testing the Form 2s, the performance was superb, but only par when listening to hard rock, metal, and rap. The Form 2s lack the bass that are expected when listening to hard rock, metal, and rap. Although, on classical, light rock, and jazz, the Form 2s performed well. One of the disadvantages of the Form 2 I have found is their inability to fold into itself, making carrying the Form 2 a bit of a pain. Additionally, I believe the Form 2s should have been provided with a case, as the B&O EarSet 3 are provided with them-granted a $100 price difference. If a case was provided, the Form 2 would be more convenient to carry around. In addition to the Form 2’s slick design, it also proves to be comfortable. Through I did not wear the headphones for more than 2 hours at once, the they are definitely very comfortable. Weighing in at 2.4 ounces, the Form 2s can be easily forgotten at times: Throughout testing them, I would occasionally forget I was wearing them. Overall, the Form 2 is a great buy if you are looking for an attractive, great sounding, and light pair of headphones. Through there may be a few cons of the Form 2s, the advantages outweigh the disadvantages. Bottom line: They are a great buy if you are willing to spend $100 on attractive, light, and quality headphones.